The German artist Katharina Grosse has fulfilled her dream of a tailor-made studio, a place large enough to accommodate her large-scale works and where an industrial atmosphere is combined with soft light and neutral walls. In close cooperation with the artist, the firm Augustin und Frank Architekten planned the studio in Berlin’s Mitte neighborhood and completed it in 2007. The result is a compact reinforced concrete cube containing workrooms, storerooms, an archive, offices and living space. 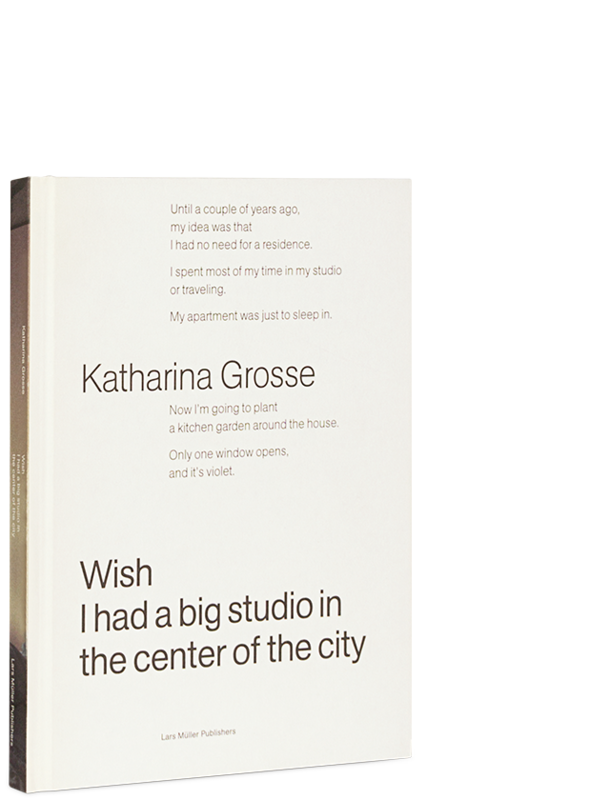 The contributors to this publication use Grosse’s studio as a springboard to explore the relationship between painting and architecture, and the role that studios play in the production of art. Numerous photographs show the raw architecture of the new building and the artist’s appropriation of the space. With contributions by Georg Augustin, Laura Bieger, Andreas Denk, Ulrich Loock and Philip Ursprung.